Summary: DEC fish contaminant monitoring staff and DOH fish consumption advisory staff recommend that fish from waters contaminated by perfluorooctanoic acid (PFOA) at Petersburgh and Hoosick Falls and from waters contaminated by perfluorooctane sulfonate (PFOS) at Newburgh be collected and analyzed to provide an initial assessment of the potential bioaccumulation and risk posed by these and other perfluorinated compounds (PFCs). Honeywell to begin local investigation at John St and River Road sites. Nearby property owners may receive the Attached Letter and or receive a visit from a Honeywell representative. Please find our April 6 response to your Feb. 2 letter you sent EPA. 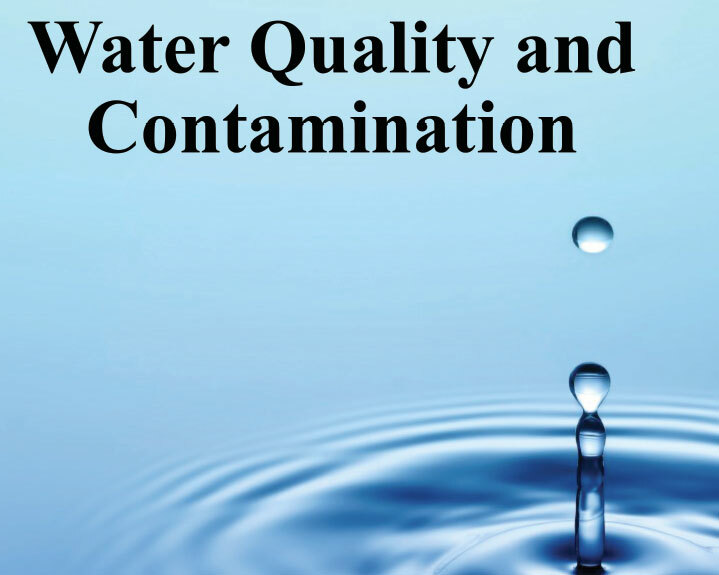 The New York State Department of Health and Department of Environmental Conservation today announced their weekly progress in testing water samples, installing point-of-entry water filtration systems, and providing residents with safe drinking water at their tap. As Governor Cuomo announced during his visit to Hoosick Falls, the municipal water treatment system is functioning properly and sampling shows it is removing PFOA to non-detectable levels. The municipal filtration system consists of two granular activated carbon filters, and water runs through both filters before entering the village distribution system. Water is sampled after it runs through the first filter, and again after the second filter. Samples taken after the first filter show non-detectable levels of PFOA, even before the water is treated a second time. DOH has conducted seven tests on 3/9, 3/11, 3/14, 3/15, 3/18, 3/19, and 3/20 -- and they all resulted in non-detect levels of PFOA, showing that the system is fully operational. Over the last week, numerous rounds of flushing have been completed throughout the distribution system. This week, ten samples were taken from different areas throughout the village distribution system. Seven of those samples showed non-detectable levels of PFOA (less than 2 ppt) while three samples showed levels of 4.10 ppt, 3.77 ppt, and 2.12 ppt. Below are the results. 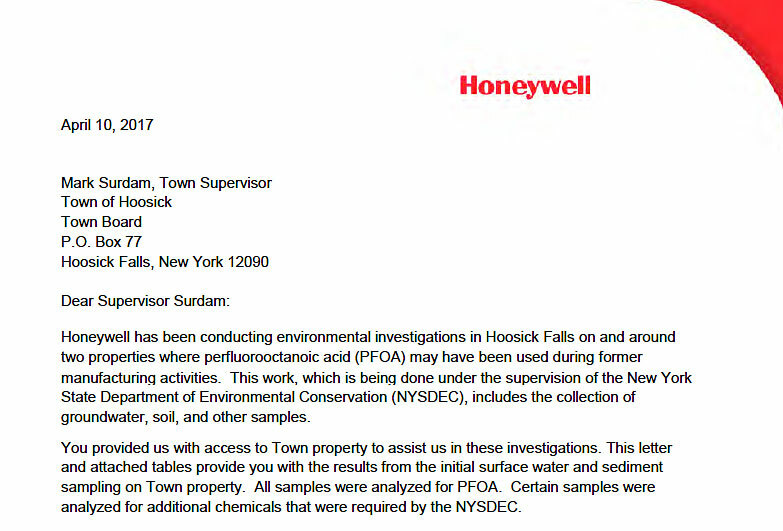 As part of its Superfund investigation, DEC began sampling soil upon starting the aggressive Superfund investigation to determine the extent of contamination and as part of DEC's investigation into illegal dumping in the Hoosick Falls area. DEC will expand soil sampling in the Hoosick Falls area, in conjunction with DOH and the state Department of Agriculture and Markets, to evaluate the potential for exposure from soils that may have been impacted by contaminated water. As part of the State's Superfund investigation, additional sampling will include certain agricultural lands, gardens and other sites. Additionally, DEC continues the installation of point-of-entry treatment (POET) filtration systems for homes with private wells, with a total of 441 installed to date. DEC has received 768 requests for POETs, with 112 requests over the past week, and performed 681 pre-evaluations, which are necessary prior to system installation. Of those, 112 pre-evaluations were completed over the past week. Of the 188 water test results received by DOH since March 11, nearly all -- 179 --were less than the EPA Advisory level of 100 part per trillion (ppt) and nine had levels of PFOA at or above the EPA Advisory level of 100 ppt. Of the 179 under the EPA Advisory of 100 ppt, 102 have non-detectable PFOA levels (less than 2 ppt) and 77 have levels between 2 and 100 ppt. DEC Acting Commissioner Basil Seggos said, "Through Governor Cuomo's ongoing leadership, DEC continues to make significant progress in our operation to provide drinking water to residents in the Hoosick Falls area. Our dedicated staff from all across the state are working tirelessly to install water filtration systems on private homes, advance a study on an alternate water supply, and continue our investigation into the contamination in the area." DOH Commissioner Dr. Howard Zucker said, "DOH staff continue to provide ongoing assistance to residents in Hoosick and Hoosick Falls. More than 900 water samples have been taken throughout the area, our hotline has fielded nearly 900 calls from people seeking information about PFOA. Governor Cuomo has provide both DEC and DOH with the support and resources we need to address and resolve this problem." Staff from both DOH and DEC have been holding informational sessions every Tuesday (2 p.m. to 8 p.m.), Thursday (2 p.m. to 8 p.m.), and Saturday (10 a.m. to 2 p.m.), to help residents. More information is available by calling the Hoosick Falls water hotline at: 800-801-8092 (Monday - Friday: 9 a.m. - 8 p.m.; Saturday: 9 a.m. - 3 p.m.). I received a call a few minutes ago from Eugene Leff who is the Deputy Commissioner at NYS DEC explaining the issue with the valves that were installed as a part of the POET systems as reported this morning in the news. The valves emit lead after a period of time and were never designed to be used with systems for drinking water. He could not tell me how many homes were affected but it was many. They have made changing these valves the new priority. As a result of the priority change the installation of new POET systems will slow down temporally. Homes that have had new POET systems installed should not drink or cook with the water until given the all clear by DEC. They need to use the free bottled water that is available at Tops. 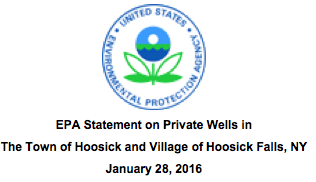 The State Department of Health and the Department of Environmental Conservation today announced progress to address perfluorooctanoic acid (PFOA) contamination the public water system in the Village of Hoosick Falls and in private wells in the Town of Hoosick. Today, the village carbon filtration system at the municipal water treatment plant was successfully installed and the distribution system will be flushed with clean, filtered water, to remove residual PFOA. The newly-installed carbon filtration system at the municipal water treatment plant is fully operational and Village officials have begun pumping water through the system and into the Village's water distribution system, announced Village Mayor David Borge. Today (Feb. 22) EPA issued Community Update Fact Sheet No. 2 which discusses the agency’s plans to sample the Hoosick Falls Athletic Field. 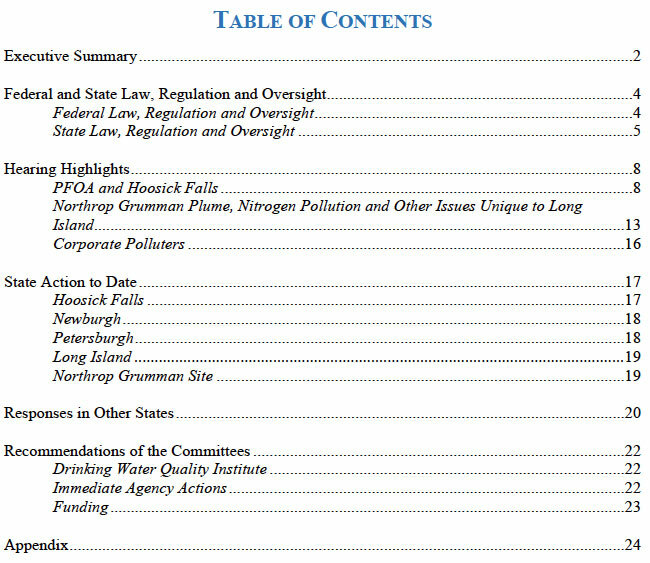 The fact sheet and additional information about Hoosick Falls water contamination can be found at: http://www.epa.gov/aboutepa/hoosick-falls-water-contamination. TO SUPPORT THE HOOSICK COMMUNITY. The Department of Health will provide staffing to answer community members questions about PFOA (e.g., blood testing, water testing). They will be available on Tuesdays and Thursday from 2pm to 8pm and on Saturdays from 10am to 2pm starting immediately. They will be stationed in The Perry Room in the HAYC3 Armory located at 80 Church Street in Hoosick Falls, NY. This program will be ongoing until further notice. Read the letter being mailed to all Village and Town municipal water customers.